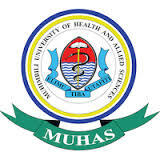 Muhimbili University of Health and Allied Sciences (MUHAS) is inviting applications from suitably qualified Tanzanians to be considered for employment to fill vacant positions listed hereunder for below. ii) G.P.A of 3.8 in the first degree. i) Understudying senior faculty by attending Lectures, seminars, tutorials and practical's where applicable. ii) Study and acquire skills and knowledge in Medical Library training, research and consultancy. iii) Assist in research and consultancy projects. N.B. Position of Assistant Library Trainee is a training post. Successful candidates shall be required to join Postgraduate Training immediately after employment. i) Appropriate Masters Degree with a GPA of at least 4.0 and an average of B+ grade/ or equivalent in the area of specialization. ii) GPA of 3.8 in the first degree from a recognized reputable University. Pharmacy, Medicine(MD), Medical anthropology/ sociology, Botany, Agronomy and Plant breeding, Natural Products development and formulation, Biological and Pre- Clinical Studies. i) Assists in conducting lectures, prepare case studies, and assist in tutorials / seminars to undergraduate students and other continuing education courses. ii) Works in co-operation with senior faculty members on specific projects such as research and consultancy. .
iii) Understudies senior faculty to supervise special projects, conduct, publish and disseminate research results . iv) . iv). Participates in training, research and consultancy. v) Marks and grades of examination and tests. vii) Participates in writing of teaching manuals. viii) Participates in curriculum development. x) Attends workshops, conferences and symposia. xi) Attends faculty development trainings. xii) Promotes excellence in all service programs of the department. xiii) Performs any other duties that may be assigned by a competent authority. i) First Degree in the appropriate field. ii) G.P.A of3.8 in the first degree. Pharmacists, Medical Doctors, Medical anthropology/ sociology, Botany, Agronomy and Plant breeding, Natural Products development and formulation, Biological and Pre- Clinical Studies. i) Understudying senior faculty by attending Lectures , seminars, tutorials and practical's where applicable. ii) Study and acquire skills and knowledge in training, research and consultancy. iv) Develop training proposals conducted by Senior Faculty. v) Participate in curriculum development. i) Applicants must attach an up to date current Curriculum Vitae (CV) having reliable contact postal address, email address and telephone numbers. ii) Applicants should apply on the strengths of the information given in this advertisement. iii) The title of the position applied for should be written in the subject of the application letter and marked on the envelope. v) Form IV and Form VI result slips are strictly not accepted. Presentation of forged academic certificates and other information in the CV will necessitate to legal action. vi) Applicants should indicate three reputable referees with their reliable contacts. viii) Women are highly encouraged to apply. ix) Only shortlisted candidates will be informed the date of the interview.